Last month, the Navy relieved Commander Xavier F. Valverde, the commanding officer of the dock landing ship USS Pearl Harbor [LSD 52] of his post after the ship ran aground in the Persian Gulf. Only days later that was followed by the removal of Captain David C. Dykhoff, the CO and Captain David M. Dober, the XO of the Nimitz class USS George Washington [CVN 73] after a fire on board the nuclear-powered aircraft carrier caused $70 million in damage. O.K. Fair enough, you can't really argue with the removal of officers from such responsible positions as those for allowing such silly accidents to happen with serious damage to expensive multi million dollar equipment. But what about Commander Shawn Bentley? Cmdr. Bentley (left) was given command of VQ-3, the Ironman (yes I know), the Fleet Air Reconnaissance Squadron that provides the president and the SECDEF the airborne ability to command and control the nation's nuclear submarines, bombers and missile silos via the E-6 Mercury only 3 months ago. Last week he was relieved of his command and assigned to a desk (he won't be getting his Eagles). The Navy apparently relieved him for "loss of confidence in his ability to command." However a source close to the investigation told The Associated Press that Bentley's removal regarded an undisclosed personal matter and was not related to VQ-3's missions or duties. This is consistent with a Fox News report citing that Bentley was removed from command for allegedly having "an inappropriate personal relationship with a woman." Unfortunately, there are an insane amount of regulations that prevent military officers from enjoying the company of women. Any female officers in our chain of command are off-limits as are any female enlisted regardless of service, any married woman, prostitutes or any other woman at all that's not your wife if you're married yourself, I mean- Hell, it's a wonder we get any at all!!! Relieving the man from command for a little indiscretion is a bit unfair, but I don't know the whole story so I guess we'll wait. So why am I biting nails over this now? 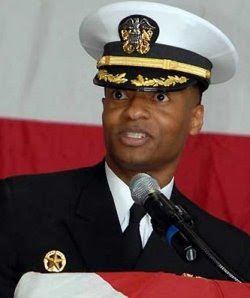 Well, taking into account the Navy's new housekeeping policy over the last few months; maybe someone in the Naval Department will think it's time to make an example of a few Marine Officers who've screwed up recently too? Lt.Col, you don't do little indiscretions, when an operation goes south on you, it goes FUBAR!